Thich Nhat Hanh writes, “When you say something like I love you. . .with your whole being, not just your mouth or your intellect, it can transform the world.” Because we are interconnected, when we awaken love in ourselves and express it, our love changes the world around us. 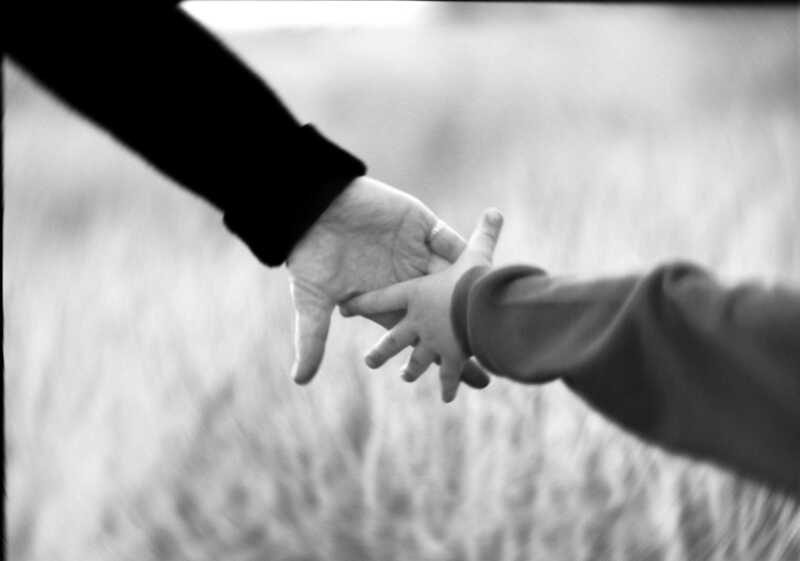 The hearts of those we touch are opened, and they in turn touch the hearts of others. Fatto a mano in Italian means “hand made” and fatto in casa “home made“. To prepare home made meals by hand with love is an active meditation and the creation of loving kindness. Just like a hug, a tender kiss, a warm embrace, preparing a meal for friends and family with the intention of savoring some time together around the table, is a beautiful way to touch each other’s hearts. Some nights stay up ’til dawn as the moon sometimes does for the sun. Be a full bucket, pulled up the dark way of a well then lifted out into light. Some of the coolest new kitchen tools to help make meal preparation a little bit easier. 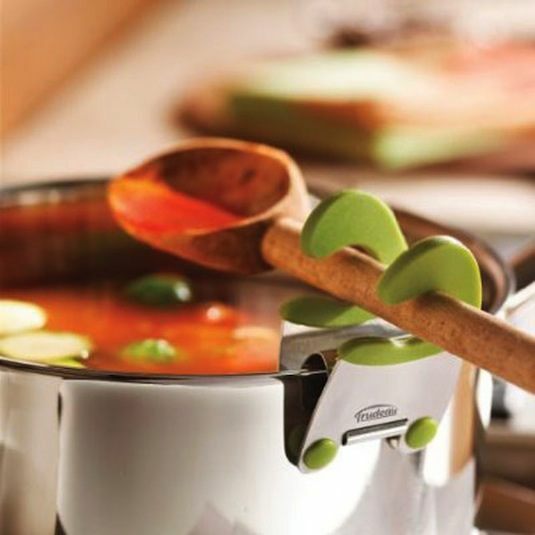 The Pot Clip – less mess on the counter. 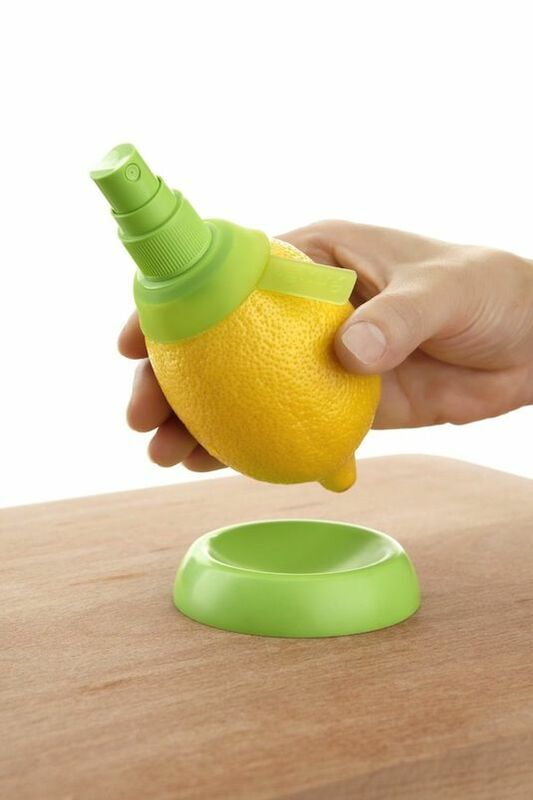 The Citrus Sprayer – for a fresher than fresh spritz of lime, lemon and/or orange. 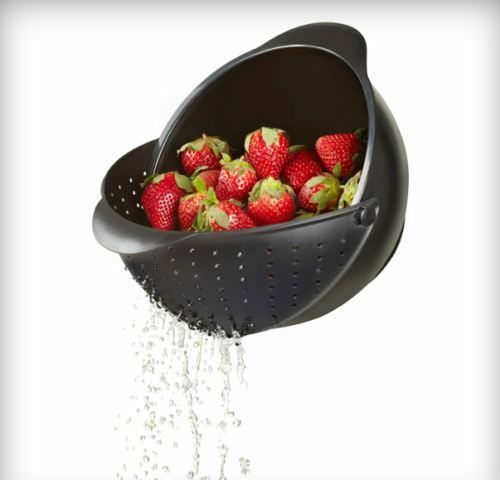 The Rinse Bowl and Strainer – such a smart idea. 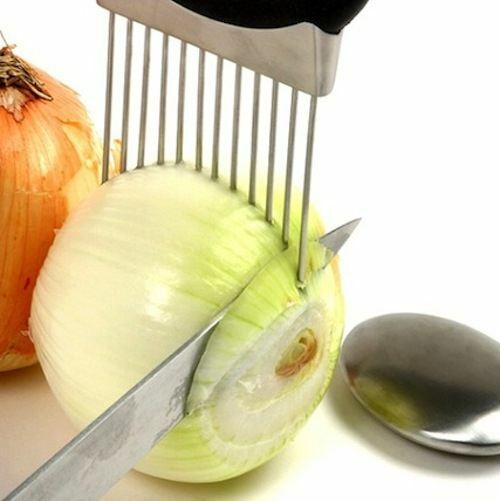 The Onion holder – because I cringe when I see my daughters slice onions. Safety first. 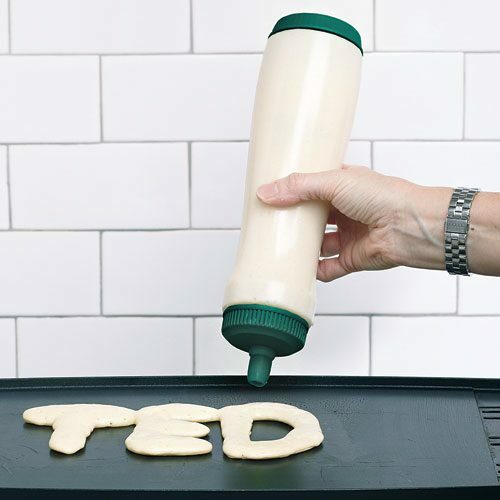 A pancake pen – creativity in the kitchen. The ultimate fun do it with a kid in the kitchen tool.